1. Original EDC Account Statement of Piyush Buildwell (Pages 2 and 3): Exposes that Piyush Group ONLY deposited Rs 231 lakhs (Rs 2.31 crores) of original EDC to Govt. against a demand of Rs 1817 lakhs (Rs 18.17 crores). Entire original EDC amount was collected from buyers but not deposited to Govt. As a result, caused development of area to suffer and also penalty of 18% per annum kept on adding to original EDC outstanding dues (It is still adding and last entry of penalty addition is as latest as 28-May-12). This exposes Piyush Group lies of depositing EDC to Govt. and bank guarantee. RTI reply also puts a CORRECT stamp on our calculations of total EDC amount to be around Rs 33 crores resulting in Rs 228/sq ft to be charged to buyers. Everyone of us should start sending this RTI reply to Piyush Group demanding enhanced EDC rates to be revised (for those who have NOT done payment) and refunds (who have already done enhanced EDC payments). Please feel free to share. Truth should be loud and clear. Piyush not only cheated buyers but also partially responsible for delayed development of area due to which area is still NOT livable. Piyush Group is openly doing frauds. Like any other builder in Neharpar. If FIR is lodged against Piyush MD on this RTI basis, he is bound to go to jail. This really is the need of the hour. Is this not a grave fraud. Collecting money in the name of the Government and utilizing it for own purpose. This should be punishable offence. Whom should we make a written complaint? Please forward us the RTI application you have sent to Town and Country Plannin, We will make our changes and forward it to them. Please find attached RTI application filed by me. Enough is enough.. these guys are ruthless and the time for being nice to them is over.. Please file Multiple FIRs of CRIMINAL Nature against this builder straight away.. They need to loose their peace of mind as they are happy enjoying our money. For that matter, keep on complaining to all the various Email Ids that I have shared on the forum along with registered posts. On the basis of the RTIs you are now able to file a case of corruption, lack of action, abatement, dereliction of duty on govt of Haryana departments of DTCP and STP/HUDA for not having taken any action against these builders. These guys deserve jail along with corrupt and inactive govt official... Housing is a part of RIGHT OF LIFE and is enshrined in ARTICLE 21 of our constitution and is a states responsibility. CRIMINAL Court cases along with lokayukt both need to be pursued.. The proof that you have is a clear " Hidding material information with a malifide intent to harm the interest of buyer" In the court of law, both parties in an agreement are equal and no one party has an advantage over the other. This is the principle of fairness, justice and equity. Please approach the Commissioner and Deputy Commissioner of Police Faridabad directly and file an FIR as STATES REVENUES are being collected and misused by private builder. Yes Bless You. FIR is the only solution now. The next question will be who will do it ? There will be very small percentage of individual who will be ready to do it. But if joined together on a platform, most will be ready. We need a broad platform. 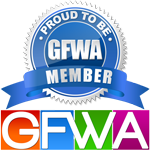 GFWA is one such platform. Will GFWA take the lead and file FIR ? it has been done in Gurgaon in many cases. FIRs have been effective there only when filed through societies. And GFWA should not restrict the FIR against PIYUSH only. But it should be against all erring builders. what are the views of other members ? Should there be any delay in doing this now ? I have e-mailed to Piyush and DTCP for EEDC refund with your RTI reply and let us see their response. I propose if we do not get any favorable response from Piyush and DTCP on the matter in 15-20 days we should all send RTI application to DTCP asking about the action taken and daily progress made on our complaints against Colonizer. We can ask about the competent authority also for taking action in case DTCP is not the competent one. We had sent an Application to DTCP in past also. Probably if 50-100 RTIs are filed for the action DTCP will have to take action because of the pressure. What is your openion Please advise. @BlessU, your posts are enlightening as always. Sorry, I missed your call in afternoon as I was in a meeting. @Hemant, thanks a lot for your efforts. Due to GFWA efforts, audits of EDC accounts of majority of builders in Greater Faridabad was ordered by DTCP in Jan 2012. Samples of EDC accounts of buyers were taken along with various relevent documents . A report was made to bring out the truth and irregularities. Internal sources tell us that builders are using top political influences to stop actions being taken on basis of that report. I had filed RTI on behalf of GFWA to know about report and actions taken. I received RTI reply both by e-mail and registered post today after filing first appeal. I will be uploading that RTI reply in GFWA Exclusive section tomorrow (15-JUN-12). We have to decide on next action. I sent mail to piyush and also sent letter through speed post with all document and matter 3 times and i received a standard reply from piyush as other member received. Then i sent letter to DTCP Haryana in the format mention on the GFWA forum and same emailed to all the email id mention on the forum. The complaint is forwarded with the directions that the grievances of the complainant may be resolved at the earliest. yesterday again I have e-mailed to Piyush for EDC revision with your RTI reply and let us see their response. HE has won meritorious police medal award 26 jan 11, is a specialist on ECONOMIC OFFENCES and an excellent person. Govt servants are appointed executive personnel of GOVT of STATE and their first and formost duty is to conserve and protect the revenues of the state.. EDC is a STATE REVENUE which BUILDERS have collected by virtue of LICENCE granted to them by DTCP. They have misused their service obligation towards the licence and used this precious govt revenue for personal/corporate/company benefit.. THIS IS HIGHLY ILLEGAL..
Rather DTCP has been favouring and abetting such defaulting builders, who are collecting wrongly calculated EDC (LAND REVENUE) and not depositing with govt treasury/department. DTCP is favouring these builders by calling them "REPUTED BUILDERS" notwithstanding the fact that they have not delivered even a single project eversince Mr Bhupinder Singh HOODAs govt has come to power. As Reputed Builders penal interest is charged by DTCP/FC is relaxed rate of 12% simple interest while the builders charge 18-25% compounded annually from hapless customers!! It is astonishing to note that a bank guarantee is taken by GOVT. from these builders to ensure that the responsibility of collecting and depositing EDC, given to builders is executed by them faithfully. Failing which bank guarantee should be encashed to recover the amount, BUT GOVT OFFICERS CHOOSE NOT TO DO THAT!! WHY???.. The purpose of this bank guarantee is defeated, as Officers in cohoots with builders, have illegally given extension for payment of EDC by builders at highly subsidised interest rates at the cost of you and me. Apart from that, condition for providing OC upto 50% intitially has been increased to 75%.. EVEN IF EDC COLLECTED FORM CUSTOMERS HAS NOT BEEN PAID BY BUILDER TO GOVT!!! Allowing builders and giving them a tacit approval to continue enjoying states revenues, while banks dont lend them anymore and private equity funds Real Estate Companies at 22-30% pa.
High time LOKAYUKT is moved against these corrupt officers and Criminal case pursued against builders. GOVT OFFICERS are FINANCING buiders expansion plans out of STATE REVENUE. This should stop along with strict warning to builders to deliver the projects of face cancellation of licences and punitive action/fines/jail.. Excellent post, BlessU ! You are absolutely right ! Corrupt politicians and corporates are in nexus with each other to loot and exploit honest tax paying middle class people. And exploitation is increasing. Look how Govt. increased EDC in name of 'development' (5 HUDA administrators transferred in last year and they say development !) and corporates (builders) have been given licence to loot and exploit money from buyers which they do NOT deposit to Govt. Requesting all to copy in your e-mails Deputy Commissioner of Faridabad, Commissioner of Police/Joint Commissioner in Faridabad. They should be informed about this theft of state revenue. When middle class people do NOT pay even thousand rupees tax, they go to Jail but what about these builders who are doing thousands of crore of theft of state revenue. Why don't we start drafting a plan of action to tackle what is unlawfull even in the books of Law. We have all the evidences, backed by RTIs'. We don't need to be too fast. Slow and steady approach will suffice. I believe nobody from Govt. sarvents to politicians can overpower law. Even if we are not able to make difference instantly we will be able to hammer them out in the long run. So I believe we should start drafting a plan of action. Ensure that it is ready by mid of next month(ample time). Review and ammend it as required. Finalize it by end of next month along with funds/resources that would be required. We don't have to meet for this. We can share our views and contributions online.